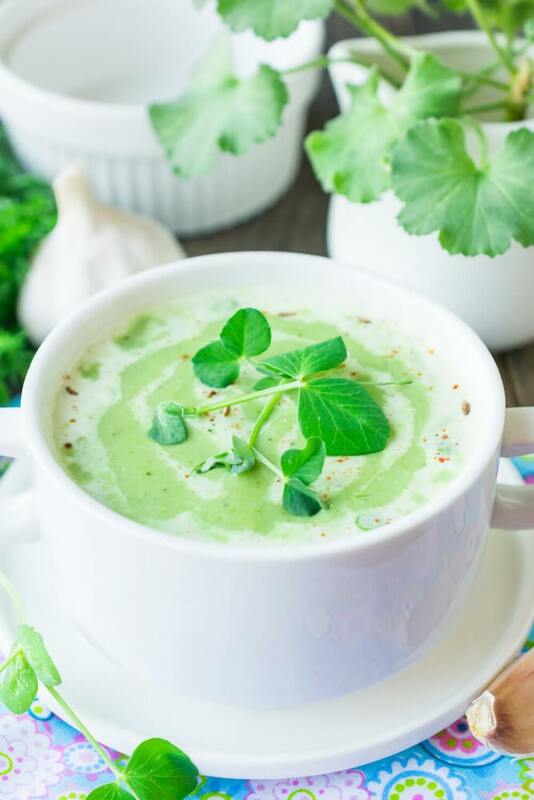 Tasty and healthy broccoli and green peas cream soup will be suitable for kids, dietary or lenten menu. The dish is fragrant and nourishing, with a pleasant creamy note and gentle texture. 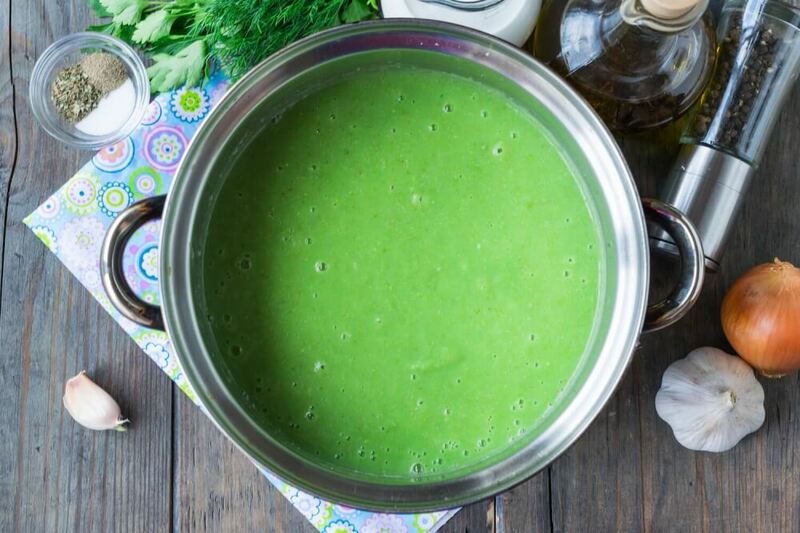 For preparation of soup it is possible to use the fresh or frozen vegetables and green peas. 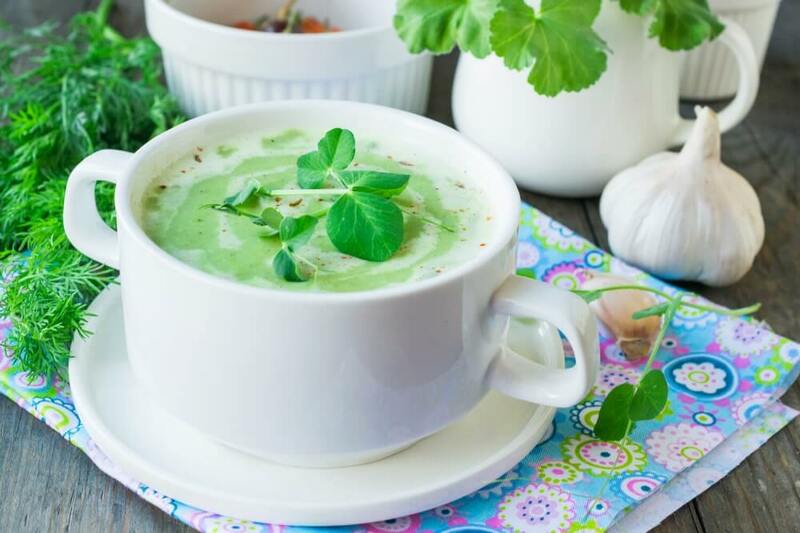 For more nourishing variant as a basis it is possible to use chicken or fish broth. The recipe of soup is rather simple. It does not demand special culinary skills and long time. Definitely try to repeat it in the kitchen. 1. Bring to boiling 1.5 l of purified water. Then put broccoli and green peas in the boiling water. Let's blanch ingredients for 2 minutes. 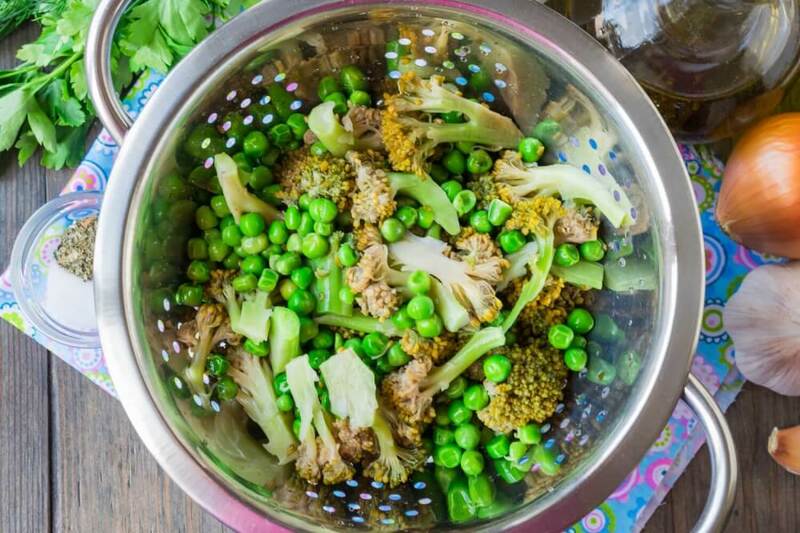 Then cast away broccoli and peas on a colander and pour over them ice water to keep beautiful green color of ingredients. 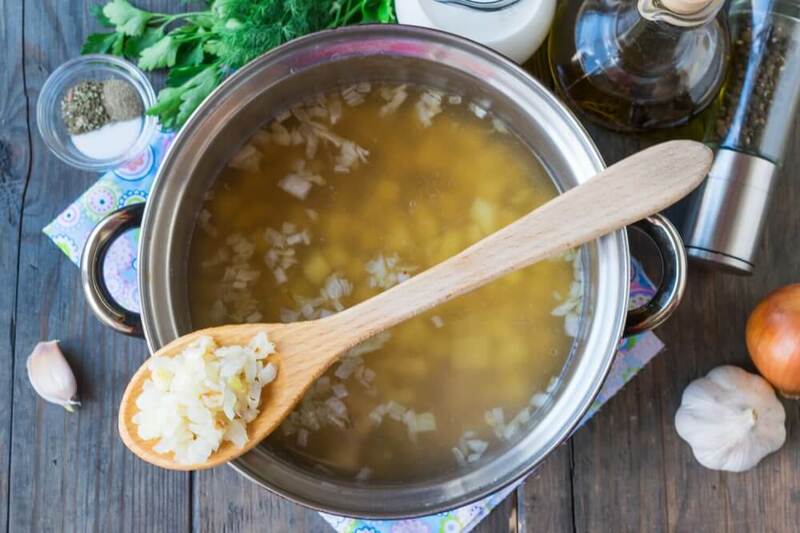 Do not pour out vegetable broth we will use it for preparation of soup. 2. Wash, peel and cut into cubes potato tubers. 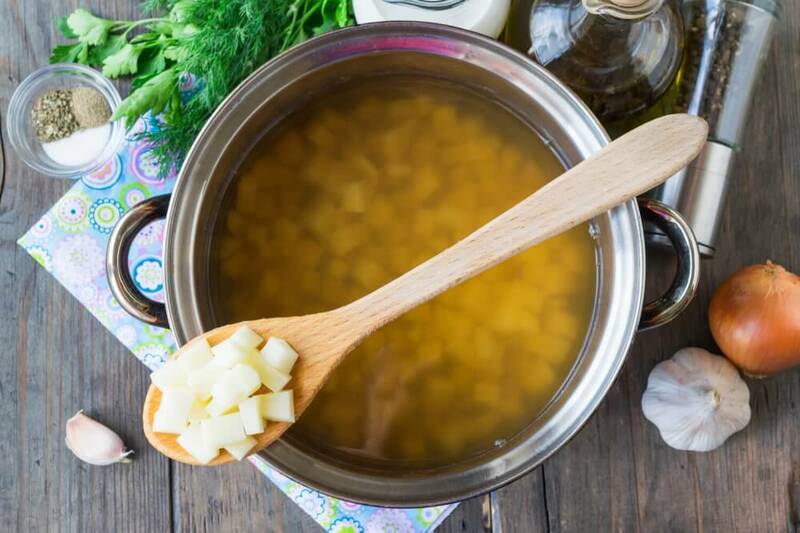 Lay out the cut potatoes in the boiling vegetable broth. Cover pan and cook potatoes to softness on low fire. 3. Peel and cut into small cubes onions and garlic. 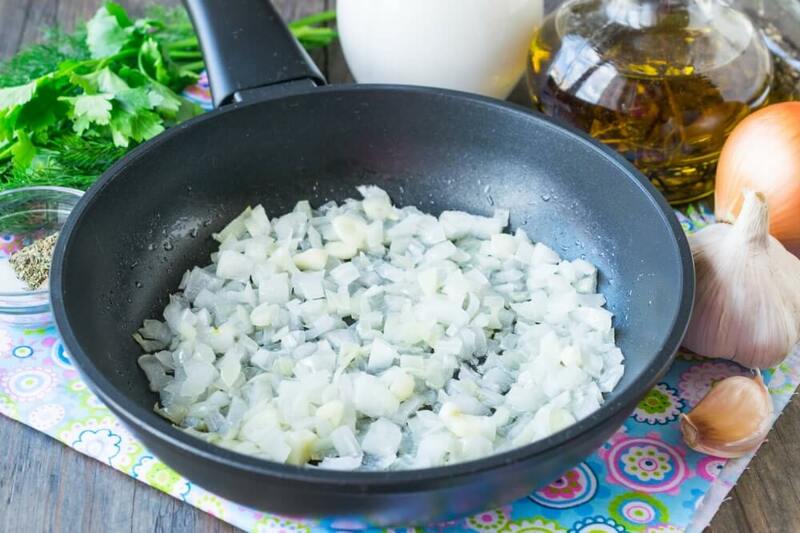 Lay out vegetables on a frying pan with the heated olive oil. Stirring slowly, fry onions with garlic to a light golden brown. 4. Add the fried vegetables to soup. 5. 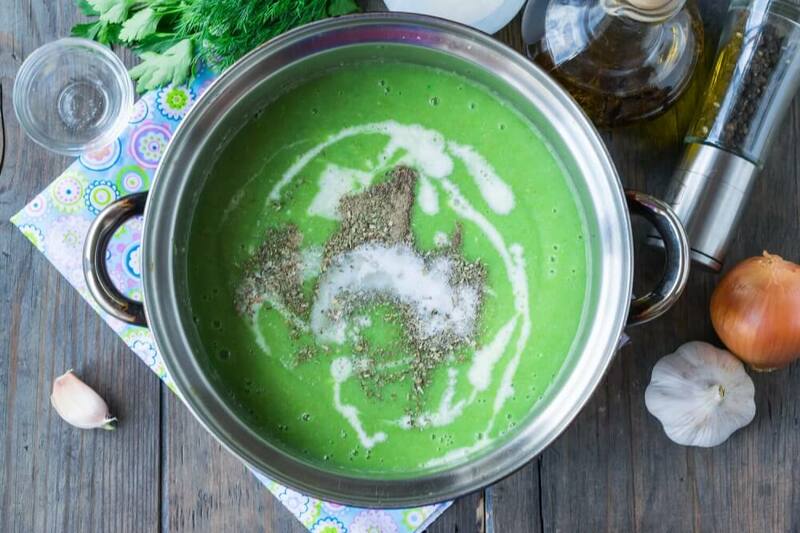 After onions and garlic, add the blanched green peas and broccoli to soup. 6. 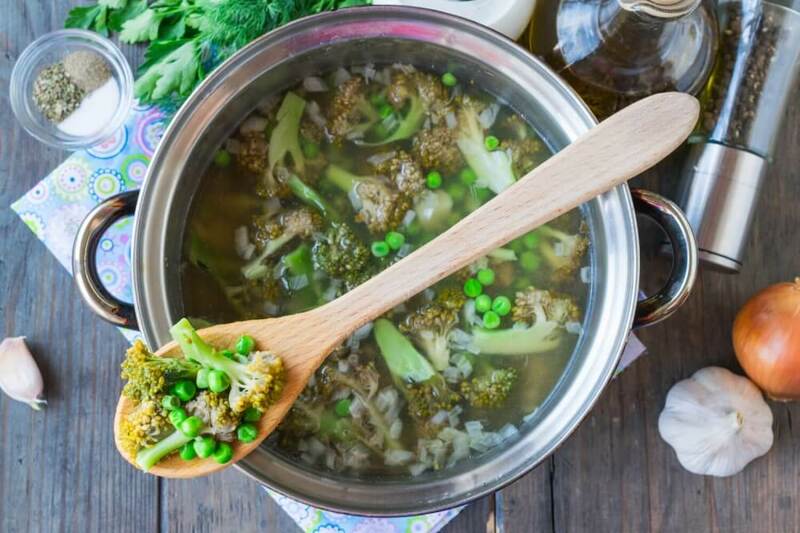 Boil thoroughly vegetable soup for 5-7 minutes after boiling. Then blend soup in homogeneous thick puree by means of the submersible blender. 7. Return a pan with cream soup on low fire. Pour cream in soup, trying to obtain desired consistence. Bring a dish to taste by adding salt and seasonings. 8. Allow cream soup to begin to boil then switch off fire. 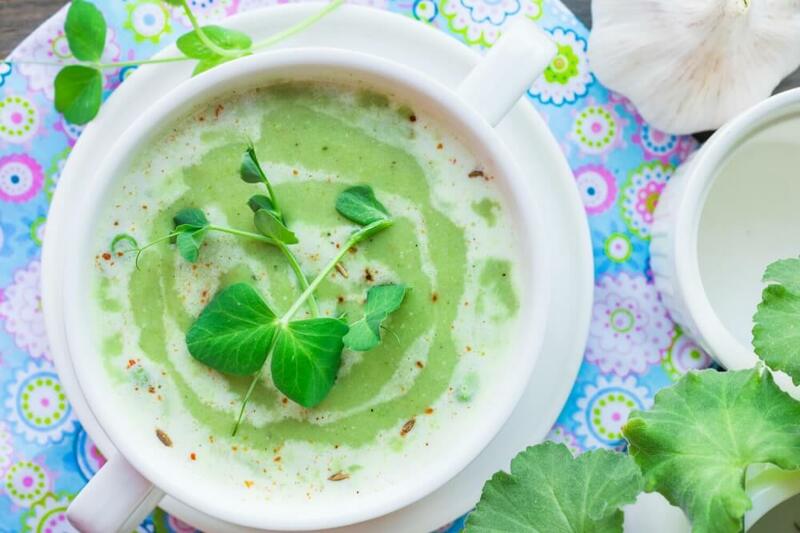 Let's pour ready-made soup in portion plates or soup mugs. Add small chopped fresh greenery to every portion.